Go Technologies is pleased to be able to offer vehicle manufacturers and importers a flexible and comprehensive solution for repairing and servicing automotive electronics. With many years experience in repairing vehicle entertainment and information systems the Service and Support team at Go Technologies are well equipped to repair many types and brands of equipment. One of the problems vehicle importers face is having audio equipment imported in vehicles serviced and repaired. Often there is no local representation or repair agents for these products and replacing them can be a very costly exercise. 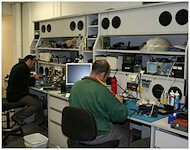 The Service and Support centre at Go Technologies is well equipped to deal with repairs from many different manufacturers. With supply contacts for parts across the globe we would welcome the opportunity to discuss all service and repair opportunities, regardless of the brand. A changeover service could also be incorporated for these products if bank stock is available. Go Technologies has acquired the entire stock of Eurovox spare parts. This will ensure that repairs and changeovers are returned to the field or to changeover stock as quickly as possible. It also guarantees that only original parts are used when repairing equipment. Parts for other brands are purchased as required from sources around the world. The automotive industry changeover program was first introduced by Eurovox many years ago. 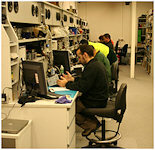 The system has been refined over many years of working closely with customers and dealers. Go Technologies has adopted many components of the system and strives to improve on the changeover offerings previously provided. The changeover program has been designed to cover the original manufacturer's warranty period. This does not include any extended warranty offered by the manufacturer or dealer. Follow-up Process – ensures that all equipment is returned in a timely manner. Security codes are available from Go Technologies for all Eurovox products. For those OE customers who do not maintain a database of their own serial and security codes a monthly subscription service is soon to be implemented. This subscription service will limit OE customers to serial numbers and security codes supplied to them by Eurovox or Go Technologies. i.e. they will not have access to product supplied to another customer. Frequently asked questions about Eurovox products are available. The following documents and forms are available for you to download and use. You will need the Adobe Reader to open them.